Initially, Shaun wrote this book for himself, to make sure, he didn’t forget what was going on in his life and his book shop. I’m glad he decided to make this public because it’s fascinating, charming, enlightening, and sobering, all at the same time. I learned many things, I had no idea about or didn’t know that much about. Shaun Bythell’s shop, called The Book Shop, is located in Wigtown, Scotland. Wigtown, is the Scottish counterpart of the Welsh Hay-on-Wye. It too has numerous book shops and hosts book festivals that might be smaller than Hay-on-Wye, but sound just as vibrant and interesting. Every day, Shaun wrote down how many online orders he got (and books he found in his labyrinthine shop), how many paying customers he had and how much he earned. It’s amazing how much these numbers actually convey. You realize quickly, that this is a very hard business and sales aren’t high. He also describes all the many things that are part of his shop like buying new stock, assessing libraries that are for sale. He writes about his staff, his cat, his girlfriend, friends, and customers – nice, weird and rude ones alike. His sense of humour is great, on the acerbic side, and his comments on staff and customers make for entertaining reading. Although it’s funny and fascinating, the book has a melancholy side. The reader can’t shake off the feeling to read about a dying trade. Shaun Bythell may very well shoot a kindle and hang it up on the shop’s wall, he may curse amazon . . . all that won’t change a thing— people aren’t willing to pay much for used books, unless they are very rare. The book also ends on a melancholy note as he describes in the epilogue what has happened to him and friends and customers after he finished his diary, which covers 2014. Some of the entries are a few pages long, others very short. An elderly customer told me that her book club’s next book was Dracula, but she couldn’t remember what he’d written. Most entries are about the shop and book selling/buying but there are many that are about Shaun’s life. Those are just as entertaining. Books dedicated by famous authors or who were given by famous authors, have annotations by them, sell very well. Books on fishing and railways sell remarkably well. I learned a lot about book prizes. Apparently, until the 90s, book shops weren’t allowed to sell books cheaper than the publisher’s prize (Net Book Agreement). This has changed since then and especially big shops like Waterstones, and now amazon, make huge profits by undercutting the market. Before this change, shops were only allowed to discount faulty books. 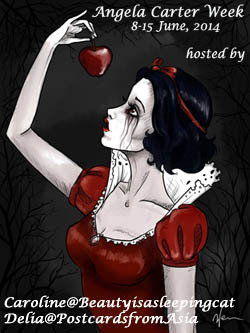 Many used a cunning method – they applied a red mark and declared the books to be faulty, which allowed discount prizes. As a teenager, when I didn’t have a lot of money, I often bought in such a discounter and always wondered why all those books were called faulty even though nothing was wrong with them, other than having a red line. There’s quite a lot about online used book sales on amazon that I found sobering and saddening. Because of the system that’s used, books may suddenly be much cheaper than the seller intended. Some crafty people use the system and enter nonexistent cheap copies of expensive books to get prizes down. 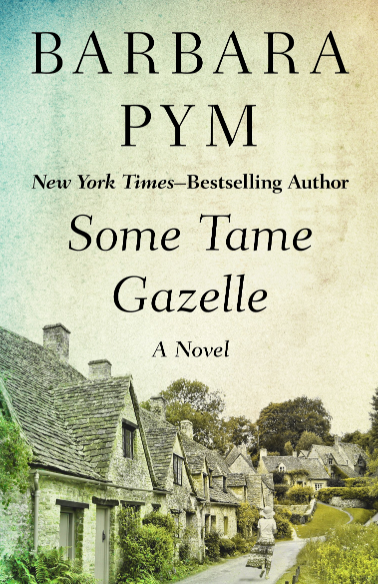 Even though Bythell’s life doesn’t sound easy – customers can be annoying – book boxes are often far too heavy – the shops’ always cold – it still sounds charming and in many ways like a lot of fun. After all, he’s his own boss, is surrounded by books, meets some great people through the shop and the festival, and there’s always the possibility he might find some hidden treasure somewhere in a library. I thoroughly enjoyed this book. It gives insight and entertains and put me in the mood to travel to Wigtown some day. Sarah Kirsch, born Ingrid Bernstein, in 1935, in Prussian Saxony was a German poet and artist. She was widely known and appreciated in Germany and received numerous prestigious prices. Quite a lot of her books, like the poetry collection Catlives, have also been translated into English. Sarah Kirsch died in May this year. Taking the name Sarah was a deliberate choice to annoy her father who was an anti-Semite. At first I wanted to join Danielle in her Christa Wolf project. She’s reading One Day a Year, Christa Wolf’s diary, for GLM. 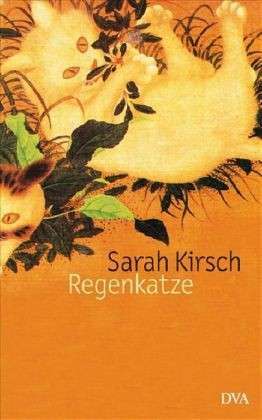 While looking for the book on my shelves, I came across Sarah Kirsch’s Regenkatze (Raincat), a diary of the years 2003/2004 and started reading it right away. Such a lovely book. But imagine how surprised I was when I found two diary entries dedicated to Christa Wolf’s One Day a Year, which came out in 2003. Obviously they knew each other as they were writers in the former Democratic Republic of Germany, a secluded space, in which everyone was monitored and spied on. According to those diary entries, Wolf wrote about Sarah Kirsch in her diary. Kirsch doesn’t say too much but she’s not keen on Wolf’s book and abandons it after a while saying that she distorted the truth. Regenkatze is a wonderful book. It has been written by a woman who loved life and enjoyed every moment of it. But she could also be very critical and ironic. She hated anything fake and phony and loved nothing better than reading, writing, cats and nature. Kirsch lived in the country, in a house on her own and occasionally with her son. Her days are quiet and filled with observations of the weather, the trees and plants, her cats. Highlights are book deliveries and plunging into the work of new authors. In 2003 she goes through a Murakami phase and re-reads Proust’s books. But she also enjoys Harry Potter, watches crime on TV and snuggles up with the cat. I hadn’t read any of her poems before but the way she wrote this diary told me I should. She wrote Regenkatze in a very peculiar way, inventing new words, writing in metaphor’s, breaking up the structure of sentences, adding dialect and spoken language. It’s a very engaging book. Her enthusiasm and joy is infectious and I will certainly read more of her. Living smoke wraps up roofs.